Looking to buy a bong online? Bongify is the #1 Online Bong Shop. We're based in the Netherlands, and our goal is to provide the European market with the best quality bongs at competitive and affordable prices. We want to make buying bongs and accessories easy for our customers. By selecting only the best products for our assortment we make sure every single customer is not just satisfied, but happy with their order. Most of our bongs are made of high quality borosilicate glass by some of the most renowned bong manufacturers worldwide. 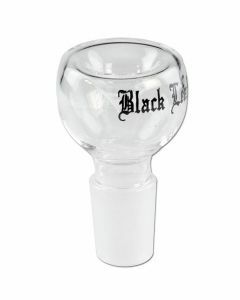 Have a look at our Blaze Glass bongs or Black Leaf bongs and prepare to be amazed by the incredible quality you can get for the prices we offer on our website. 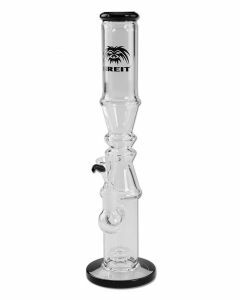 We also offer many different oil bongs or dab rigs and bong accessories, percolator bongs and honeycomb bongs. Besides our wide range of ice bongs, soft glass bongs and borosilicate bongs for sale, we also have a large amount of bong accessories. 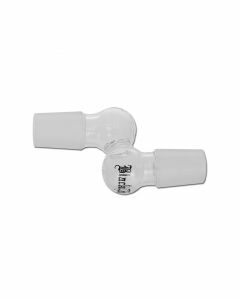 Bong adapters, downstems, bong bowls, bong cleaner, screens, lighters, precoolers and ash catchers are all available in our store! We also have rolling papers and grinders. Can't find what you're looking for? Contact us and we'll do our best to help! A bong is a specific type of waterpipe where you inhale the smoke through a large tube or cylinder instead of a hose. 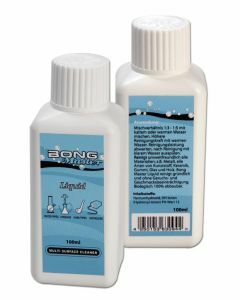 Bongs are mainly used for smoking cannabis (marijuana) or hashish. Most people use bongs to smoke everything in one big "hit", unlike a shisha or hookah, where you smoke a larger amount of tobacco during a longer period of time. Bongs are great for efficient smoking. You really get the most out of your herbs using a bong, because almost no smoke is lost and you can enjoy the pure deicious flavour of your precious herbs. Dabbing is a trend that's becoming massively popular all around the world. But what is dabbing? Dabbing, when speaking in terms of bongs, is smoking (cannabis) concentrates using a special bong called a "dab rig" or "oil rig". Instead of putting the lighter to dried flowers, you heat up a glass, ceramic or titanium nail with a torch lighter and "dab" the concentrates on the hot nail in order to inhale the pure flavours of your extracts (also called BHO). Our collection of bongs is divided in three categories: the Bronze Line, Silver Line and Gold Line. Bronze Line bongs are the regular, lower segment bongs. Silver Line bongs are bongs of very good quality at an affordable price. These are the most popular, and with the right accessories (or by themselves), they can offer a very smooth and refined smoke. Gold Line bongs are the absolute best of the best and are unmatched by anything else.